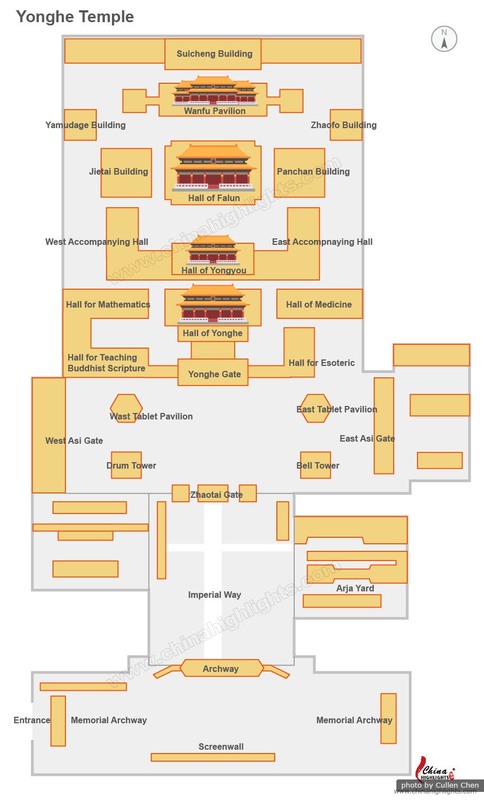 Our Beijing maps cover Beijing&apos;s location in China, the Beijing area, attraction locations in the city, the Beijing Subway, and plan views of Temple of Heaven Park and the Forbidden City. Beijing is situated at the northern tip of the North China Plain. It is 2 hours by air from Shanghai and 3 hours from Hong Kong. Beijing Municipality covers an area of 16,410 sq km, including the city districts and the suburb districts. Below map shows main attractions of Beijing suburb districts. Beijing is an Ancient Capital of China with famous attractions of various types. 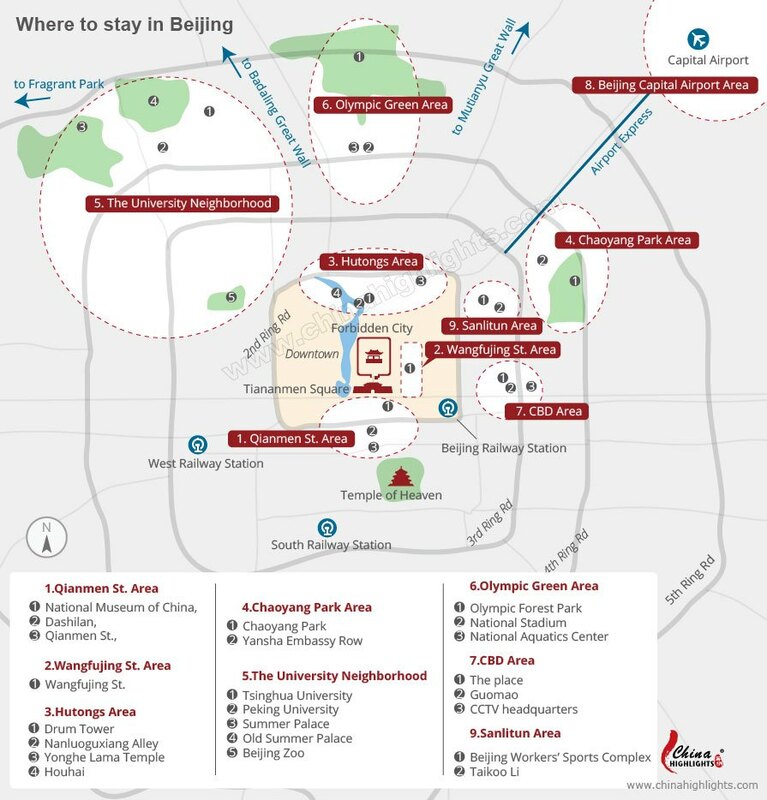 This map covers the area inside the fifth ring road, showing photos and locations of key attractions (including the Great Wall, the Forbidden City, the Temple of Heaven, and the Summer Palace), and railway stations and airports. 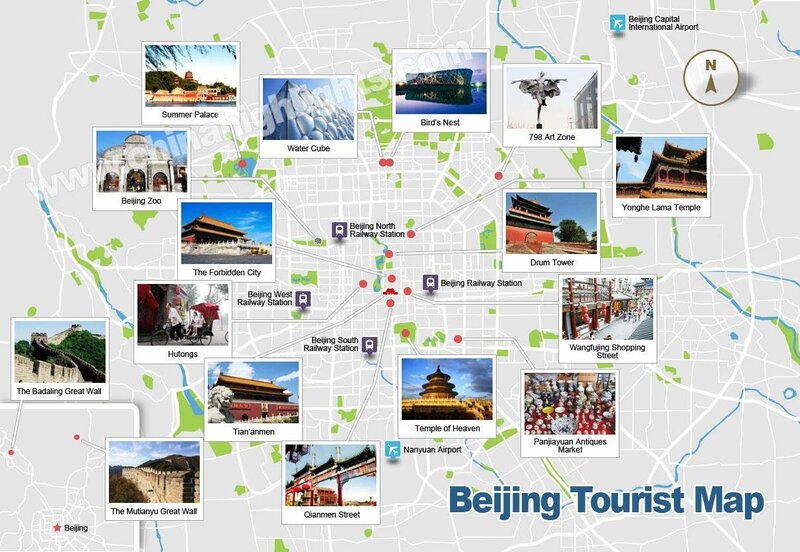 Learn more about Beijing&apos;s attractions. 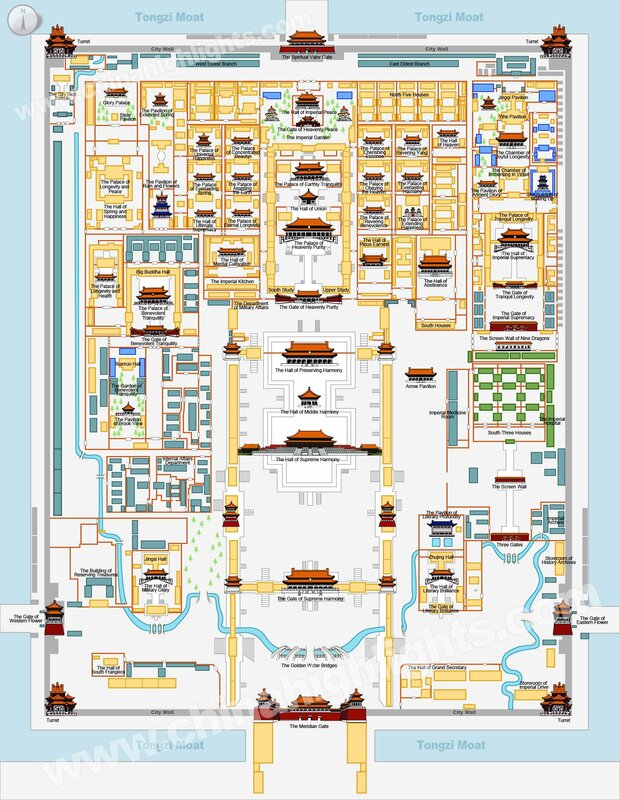 Our Forbidden City Plan View shows the layout of the palaces in the Forbidden City. Read more about Beijing&apos;s Forbidden City. Our Tian&apos;anmen Square map shows you the layout of this world&apos;s largest city square and it gives you a better perspective of those national buildings around it. 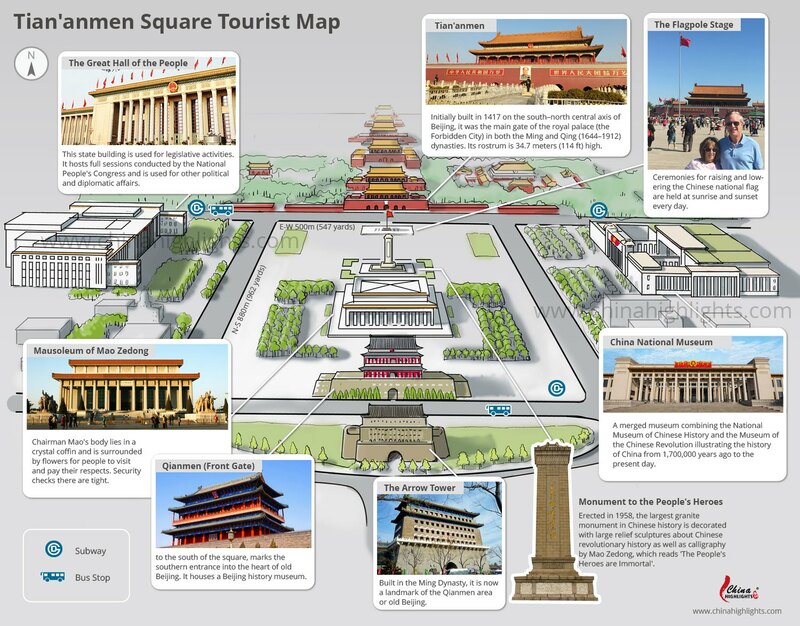 This Tian&apos;anmen Square map also gives you the latest tourist information about those national sights around it. Our Temple of Heaven Park Map shows Temple of Heaven Park&apos;s layout, the main features, and paths through it. 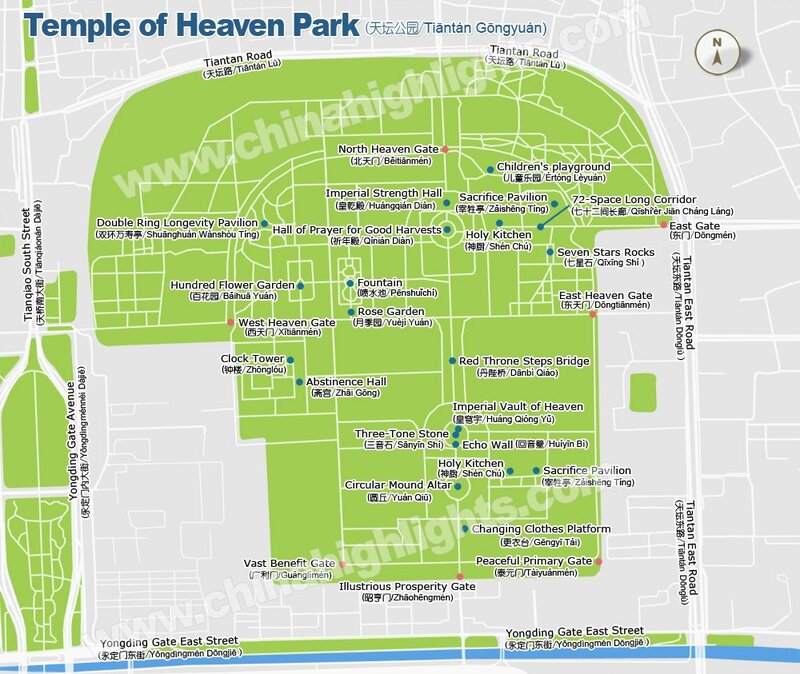 Read more about the Temple of Heaven. 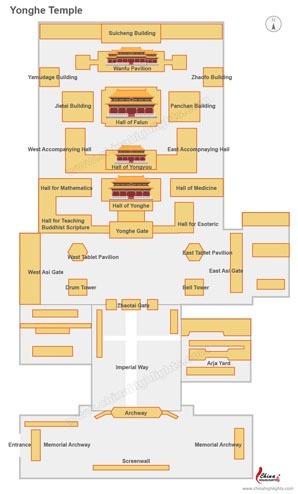 Our Bejing Yonghe/ Lama Temple shows you layout and main buildings of the temple, learn more about Yonghe Lama Temple. Beijing Zoo is now the biggest zoo in China, its highlights are Panda House and Aquarium. 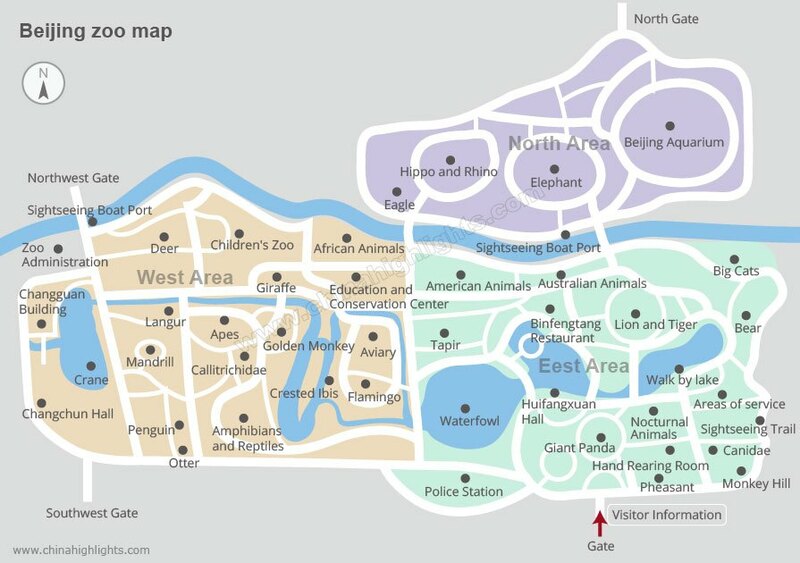 Our Beijing Zoo map shows you layout out of the zoo and the location of Panda House and Visitor Information Center. Learn more about Beijing Zoo. This is Beijing&apos;s most up-to-date subway map. 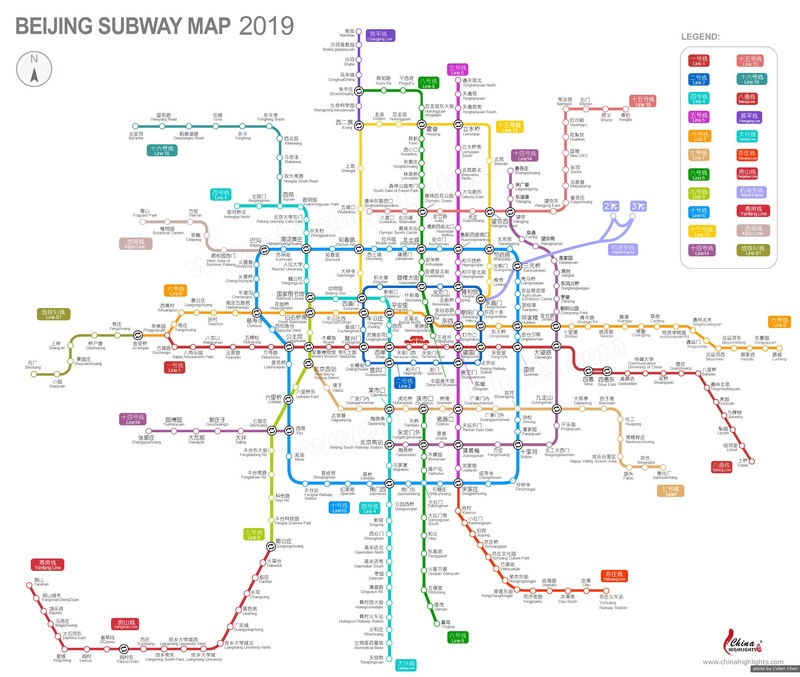 At present Beijing Subway has 22 lines in and around the city. Each line is coded with a color, and all stations are marked with both English names and Chinese names. Click the map to see a larger map and find the nearest stations to attractions you want to visit, and the line(s) you need to get there. Best neighborhoods to stay in Beijing shows the most convenient and popular areas to stay in Beijing during your trip. Whether you are on business trip, layover, traveling with families and kids, or travelling on a budget, there is a place to suit your needs. Learn more about 11 Best Neighborhoods to Stay in Beijing. 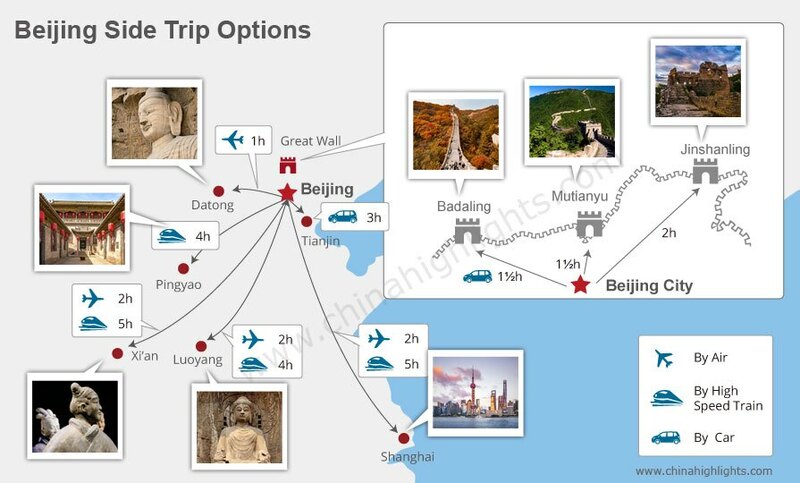 This map below shows you the best Beijing side trips. Learn more about Top China Tours from Beijing. 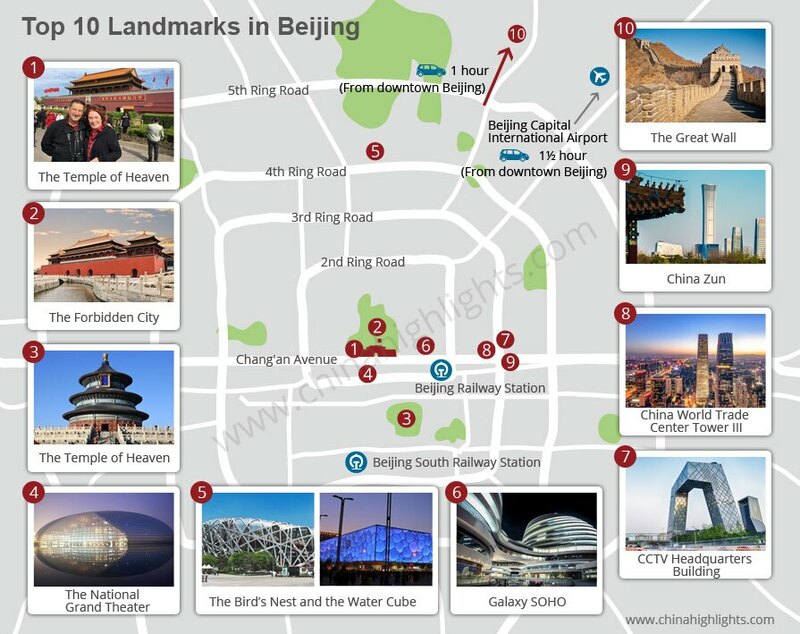 This map below gives you a brief introduction of the top 10 landmarks in Beijing with locations. This map shows you some practical ways for getting to Beijing city from Beijing Capital International Airport. Learn more about how to get to Beijing city from Beijing airport and how to get to the Great Walls from Beijing. 4-Day Emperor&apos;s Tour of Beijing: Discover Chinese culture and history with a knowledgeable guide. 1-Day Beijing Forbidden City +Great Wall Layover Tour: Specially designed and flexible, it’s ideal for those who are short on time. 1-Day Beijing Great Wall Layover Tour(10 hours Layover): Make the most of your time to visit the Great Wall. Find more ideas on our Beijing tours. Looking for a unique and personalized tour? Just tell us your interests and requirements.